It's all about a cat today but with a background of the beautiful buildings in Place Saint-Michel - the same square where we saw the cathedral. 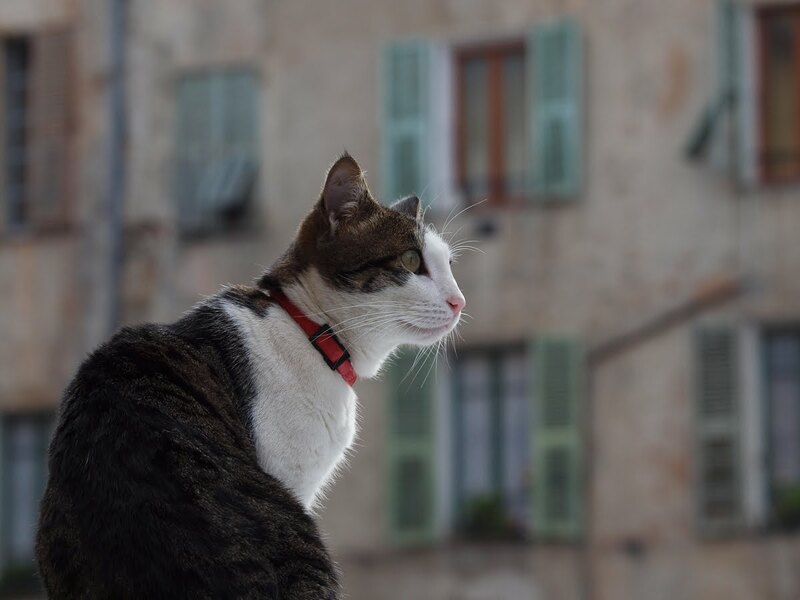 Aujourd'hui, il est sujet d'un chat mais sur fond des beaux édifices de la Place Saint-Michel - la même place sur laquelle on a vu la cathédrale. Ah - now this cat has become famous. Sooooo cute! It seems to be smiling and posing(Right word?) for you! Oh, yes - so cute and a perfect background.. So different! I love the way you have captured her whiskers against the background. Each one is so clear & distinct. Cats always think they are the centre of the universe don't they. 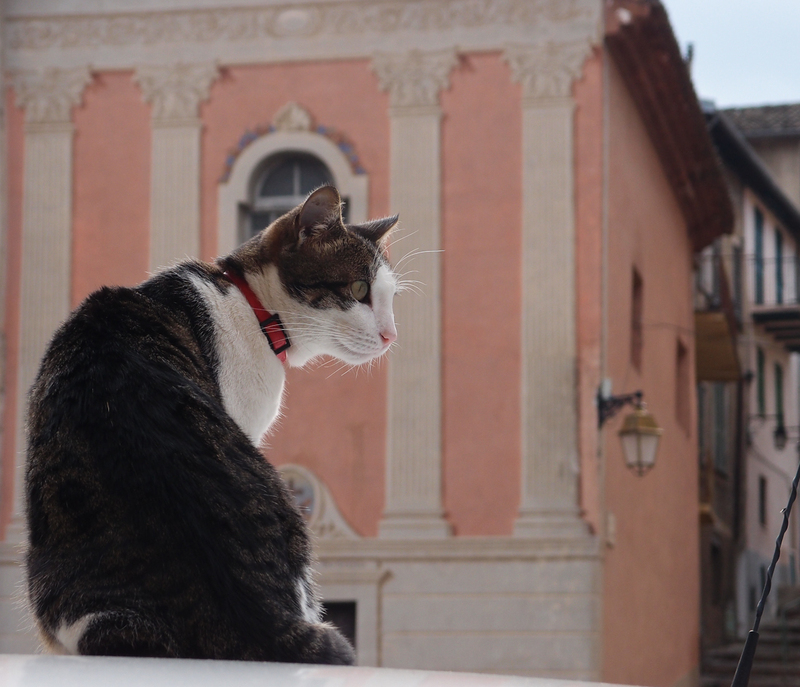 As a fellow dog person - I LOVE this portfolio of cat photos! Lovely portrait. A challenge in these type of photographs is to decide and execute how much f how little depth of field to achieve. You have done your usual excellent job. I'm not a cat lover, but he's pretty. I especially like the third photo. I think you have captured his essence, Jilly. 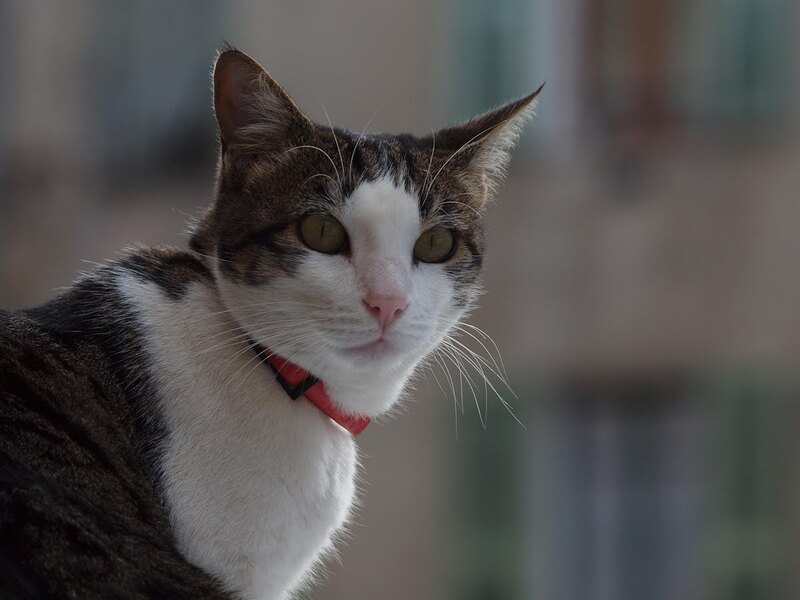 He seems at ease and comfortable in your presence and must know that you carry a soft spot for all pets, including cats. My son loves your cats. How can any one not love a cat photo. Right, great depth of field on all three photos, Jilly. Peter's right of course. I knew you had the heart of an animal lover! :) Meeps and I both love these dear Jilly. And my fav is the last one!